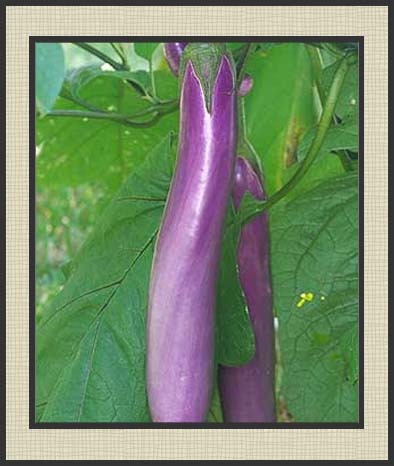 The Ping Tung is the most bragged about eggplant that I have researched…I cannot wait to taste it. From what I’ve read, this is an extremely high yielding disease resistant plant with beautiful snow-white flesh and very few, small seeds. You can use the entire eggplant and not have to remove areas with pockets of seeds or the tender skin. It grows about 2 feet tall by 2 feet wide. Some people report having to steak or cage this plant because of its heavy fruit production.